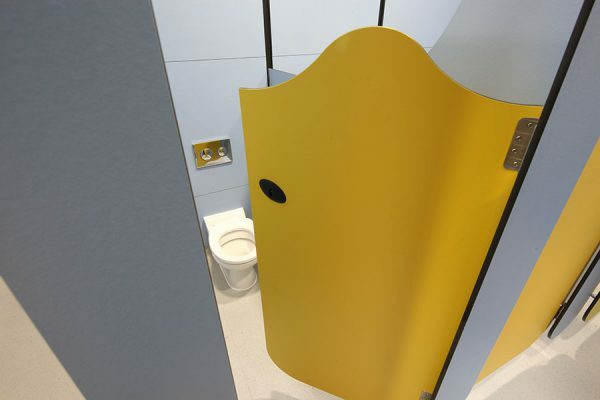 Washroom has provided eye-catching specifications for the £21 million development of the new Tidemill Academy in Lewisham, London. With over 400 pupils speaking more than 30 different languages, the new school marks a major step in providing the best learning environment and facilities possible for an area with a rich cultural background and vibrant community. The unique project, which includes a rooftop five-a-side football pitch, saw Washroom Washroom working alongside lead contractor Galliford Try to provide age-specific washrooms for pupils and visitors alike. With the schools facilities open to the public, Washroom Washroom utilised cubicles from across its range to create washrooms specific to the end users age, specifying a number of products from its education range. 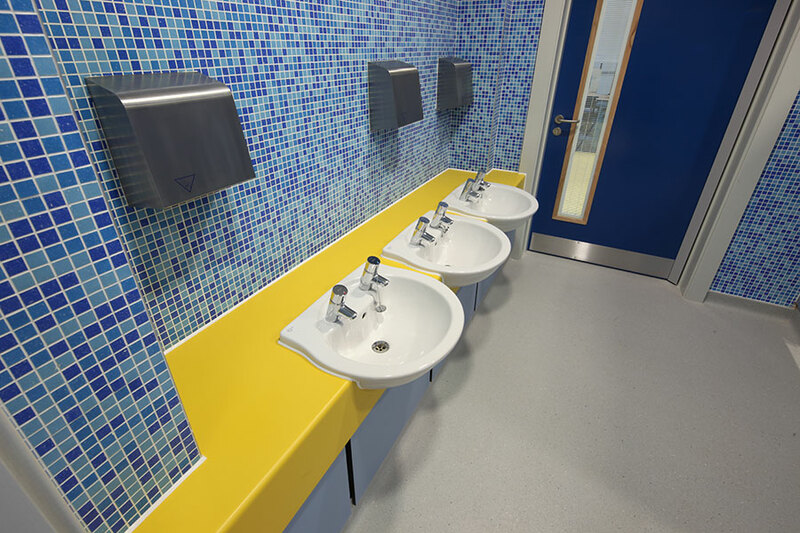 For younger students, the Bambino was specified to provide a colourful and comfortable space. 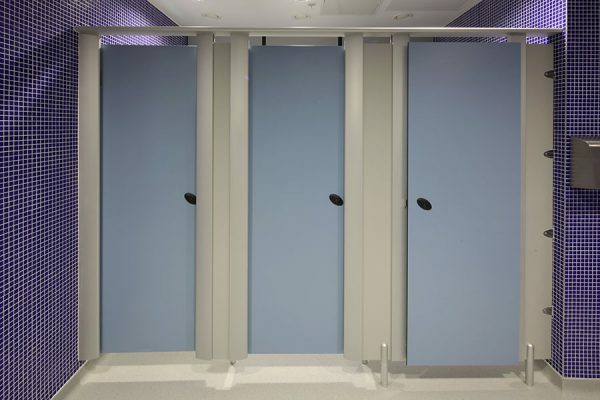 The Bambino cubicle system is specifically designed for children of junior school age who may not feel comfortable using washroom facilities designed for adults. Solid grade laminate was used to provide a cost effective and durable space which is extremely hardwearing, water resistant and ideal for high traffic areas prone to vandalism. 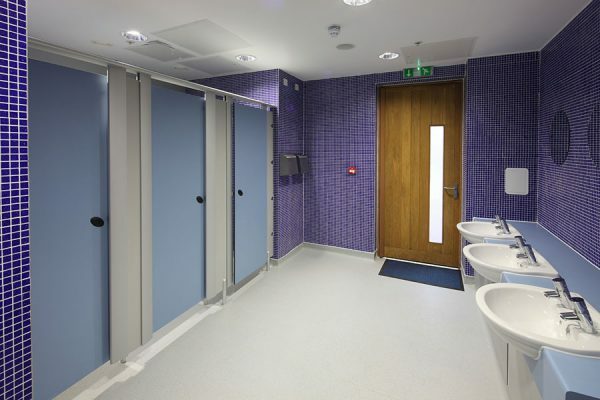 For visitor and older student spaces, where more hardwearing materials were required, Washroom Washroom specified its Mezzo Stainless Steel and Forte cubicles. The more ‘grown up’ look and stainless steel finish helps set the washrooms apart from those aimed at younger students and puts the user at ease. The full height cubicles also provide the privacy that older end users demand. Concerto WC ducts and Arpeggio vanity units were installed to complement the cubicles and provide both stylish and practical specifications for use by students and visitors.